My writing is an act of absolute fear. Perhaps this is why I write of fearful things: first fears, primal fears. Fear of the dark, of things we do not know, of being abandoned, of not being loved, of not being smart/beautiful/brave enough; fear of not knowing the rules. I grew up thinking there were rules and right answers for everything – I just had to find them. I had to find the key to the casket, I had to guess the wicked little man’s name, I had to stay silent for the right amount of time, I had to be beautiful in a certain way. If I could do this, if I could know the answers and follow the rules, life would be infinitely easier. The eventual realisation that my beliefs were incorrect led me to take the only action I could: I wrote, and I rewrote. I write to right things that seem wrong to me. I write to take the sting out of my fears. I write to transform my fears into a new form. That is how I cope: I change, I modify, I rewrite what scares me because it is the only power I have over my fears. I try to overcome my child’s fears even now that I am grown. As a child, I retold stories in my head and fairytales were the first stories I had access to, courtesy of the maternal voice. What I remember are tales at my mother’s knee. I remember the delight of hearing her voice, that her voice could make my imagination fly – in many ways my mother was a giver of freedoms. I may never have gone beyond making retellings in my head had it not been for The Little Match Girl. Me: One more story, Mum. Pleeeeeeeaaaassse. My Mother: One last one and that’s it! Which one do you want? Me: The one I do not know yet. That one. Needless to say it all ended in tears. Here was a little girl, my own age, left on the streets in the cold to die, because no one loved her enough to care. I remember clinging to my mother, even as I blamed her for telling me the story, for making me cry. I suspect she felt the same way about me. What made this tale so hard to hear? Identification. Empathy. The Little Match Girl was who I feared to be. Here are my first fears: loss, abandonment, being loveless and unloved, needs left unmet, and death. These are my first fears and, coincidentally, they are also my last. Writing is how I cope. The writing itself, however, holds its own terrors. What if the words will not come? What if I stare at the blank screen and my only friend is the backspace key? Worse, what if there are no words to use the backspace key on? If I cannot write, then I cannot rewrite what scares me and my only defence against things that go bump in the night will be gone. I sit at the keyboard in the hope that the words will come, in faith that the words will come. The process, when it works, is a flow. If I can get that first phrase, the first sentence, everything hangs from those words. The idea can rattle around in my head for days, I may have the entire story in my head but if I do not have those first words then I am mute. In the final draft I may end up not keeping the first words I write – the process of editing may render them unnecessary or unfit for the path the story takes – but they are the spark that starts it all off. I do not know what I’m looking for until it comes to me – an interesting irony for someone whose early concern was knowing the rules and right answers. Alas, inspiration never occurs at the desk – that’s where the work part happens. Inspiration occurs on the bus, in the shower, doing the shopping, in the space between sleep and wakefulness, between drunken dreams and a hangover. Then there’s the mad scramble for a piece of paper, for a cocktail napkin, a coffee-stained envelope, the tiny moleskin that hides in the bottom of my handbag, or, on one very desperate and unsuccessful occasion, the steam fogging the mirror in the bathroom. When I write, when I rewrite my fears, I’m sending them back out into the world refracted. I hold them up to a light and turn things ever so sightly – I suppose I learned at one point that it is all about how you look at things in life. Colonised fairytales offer us, women and men, a particular mode of living and interacting. If you do not fit this mould, then you are doomed; you can only be an ugly stepsister or a wicked stepmother, or one of the princesses who do not win the prince because you do not follow the rules. What do I do with fairytales? When I rewrite them I try to offer a different view, a different mode of being, a path of shared equality, not merely a simple inversion. When I rewrite I hope I’m following Carter’s line about old wine in new bottles – and if the new wine makes the old bottle explode, then so much the better for me because I’ve managed to explode my fears. The fears I suffer are, in all likelihood, a reflection of the fears inculcated by colonised fairytales – loss, abandonment, barrenness, being alone, not being chosen. These fears have been passed on to women via the pedagogic function of fairytales as vehicles to teach us how to be. In wanting to unlearn these fears, to unteach them, I rewrite the fairytales that carry those fears, hopefully unravelling the fairytale DNA strand and modifying the particle that carries the fear gene. Margaret Atwood, in her excellent Negotiating with the Dead, links the idea of writing with the journey to the underworld – to going into dark places and, hopefully, bringing illumination as well as something else back out of the darkness: “possibly, then, writing has to do with darkness, and a desire or perhaps a compulsion to enter it, and, with luck, to illuminate it, and to bring something back out to the light” (Atwood, 2005, p. xxii). I like to think of my writing as part of this illumination process: helping to strip fearful things of their power and enabling women to re-learn lessons about life and living without the fear passed on in the messages of traditional fairytales. Black-Winged Angels, my creative work, is divided into three sections: Maiden, Mother, Crone. I’ve chosen to discuss the writing of one story from each section to illustrate how I’ve refracted traditional tales to manage my fears, and the fears inherent in the original tales. The opening tale in “Maiden” is, appropriately enough, The Little Match Girl. The fear inspired by Anderson’s version is that of abandonment, of helplessness, of being left to a fate not of one’s own choosing. When I rewrote the story, I turned it ever so slightly on its axis: my Little Match Girl remained someone stripped of any helpers or carers, of people who loved her and protected her; she remained a woman who was abandoned and, had the tale run its original course, she would have remained a victim of a fate not of her own choosing. Her fate in my version is not ideal, certainly, but the important point for me when I refracted this tale was that she take agency, make a choice about how she would live or die. She chose not to live under someone else’s rules, and she chose not to let the Judge be the one to destroy her: she chose her own end. This was crucial for me because my own fear is being a victim of the whims of others, of having no control. My Little Match Girl chose an end that I would have chosen: fate on my own terms. I also liked the image of choosing fire as her end – fire is a means of phoenix-like transformation, of becoming other than you are, of escape from the fate you are told you will have. My version of this tale continues the positive work done by both Carter and Donoghue in the area of female agency, of brave, intelligent heroines, rather than passive creatures hurled about at the whim of villains and heroes. In the “Mother” section, The Juniper Tree echoes the themes of Marina Warner’s article The Absent Mother (1991), in which she traces the development of the idea of the wicked stepmother back to the phenomenon of women dying in childbirth. The main cause of female mortality during the fifteenth and sixteenth centuries was childbirth, and children who survived birth often found themselves without a mother. The production of children was inextricably linked with economics – they continued a family’s legacy, inherited great estates, kept the family name going, and cared for aged parents. Widowers seldom remained single and quickly brought new wives into their homes. These women bore children of their own and sometimes (although less frequently) brought children from previous marriages with them. A woman’s security lay in her ability to produce her own children – another woman’s offspring were viewed as threats to a stepmother’s future and to her own children’s chances of inheritance. From this socio-economic situation has sprung the depiction of stepmothers in fairytales as voracious, greedy, vituperative harpies who will do their stepchildren harm as soon as look at them (Warner, 1991). The Grimm’s The Juniper Tree (Grimm, n.d., Tale 47) deals with the plight of a little boy in just such a situation. It involves the fear of not being loved, of being helpless against an adult who should be a caregiver (and of having a father who does not notice the danger he has brought into the house). When I began to write my version, I thought I was writing about these themes, too – but as the work progressed I realised that although I was dealing on one level with those issues, I was also examining more closely the stepmother’s own fears. Second Wife found herself in a position where her child was not fully accepted. By extension, nor was she: she felt insecure in her new household. Historically, security was the key to survival and a woman had to fight to ensure the safety of her own. The idea of a universal female love for all children is entirely misplaced – the family home was the location of a turf war. The child, Simah, is essentially a cipher in my version of the tale, a dispossessed, helpless child. I had become more concerned with the plight of Second Wife. Her jealousy and fear drive her to an unconscionable act – and that jealousy and fear derive from the precarious position her place in society affords her. I was also concerned that even though she had done this awful thing, she should be redeemed in some way (redeemed in a humanist, not a Christian, sense); that she regretted her action and recognised it as wrong. In giving birth to Simah’s second incarnation, Second Wife becomes the mother she could/should have been when she first came to live in the house – this is her redemption. In writing this story, I recognised that another of my fears is irredeemable, unforgivable actions; the things you do or say that you cannot take back or repair or, indeed, repent – the actions that cause fractures that cannot be sealed. I think in The Juniper Tree I retold the story to reassure myself that even the worst action has the possibility of redemption. I think in this way the punishment of female agency inherent in some of Carter’s tales is modified. While the tale acknowledges the history of the story – and the blood debt Second Wife owes – it also offers change and growth in the tale, and a message that there can be redemption, not simply punishment, for women who step outside the sanctioned space of colonised tales. There is also a hint at a shift in the traditional need for male protection at the expense of female collaboration. Although Second Wife is very traditional in her need for, and active defence of her right to, male protection, the relationship between Simah and Marlechina shows, I hope, a possibility for female collaboration. Even though they are stepsisters, they have a bond and can rely on each other; Marlechina didn’t treat her stepsister as something less than she herself was even though they didn’t share a blood bond, and indeed, she does try to protect Simah from Second Wife. For “Crone”, I chose as my final story the tale of Vasilissa the Fair (Heiner, 2005), renaming it The Bone Mother (one of the traditional names for Baba Yaga). I wanted to show the figure of Baba Yaga in a different light. In Russian literature she is invariably shown as a malign figure, as fearful old age, someone who is hurtful and frightening purely because of her malicious nature. She is depicted as a bitter old woman, beyond any usefulness as a life-giver, who has chosen to become a death-bringer. I wanted to rehabilitate her and re-value her. I had been thinking a lot about my sole remaining grandmother, and how, after a certain age, women are often thrown aside as dried-up old husks with no further use. My grandmother has been, and continues to be, much loved and appreciated by her children, grandchildren, and great-grandchildren – her position as our wise woman and matriarch is assured. In contrast, I watched unloved old women shuffle along the street and was torn by the difference. It made me wonder about whether or not we, as women, accept the roles imposed on us: do we choose to be crones, do we think of ourselves as wasted, useless vessels when we can no longer bear children, or do some of us choose another path, another incarnation? I wanted my Baba Yaga to be more than a husk; she must be wise, strong, determined, she must stand outside what society thinks of her, she must stand alone proudly. I also wanted her to be tall and unbowed, for her face to be the map of her life that Vasilissa contemplates. I wanted Baba Yaga to be the antithesis of what I find terrifying: the discarding of old women because they are deemed to have no further use, and, worse, older women accepting this judgment, even colluding in it. When she despaired, I needed her daughter (Shura) and granddaughter (Vasilissa) to save her by loving her for her own sake, for acknowledging her value, her wisdom and her strength. I also especially like this story as the final tale of the collection because it gathers the three phases of a woman’s life together and examines them side by side. Another important aspect of rewriting my fears is showing that the cycle continues; that no one is useless. When you step aside for death another will fill your shoes. You will be followed by those you leave behind. I particularly wanted to use this story to rehabilitate the lack of female collaboration that Carter and Donoghue often allow to infect their versions. With The Bone Mother I wanted to create an atmosphere of female cooperation and support, one which replaces the idea of ‘necessary’ male protection (and competition for it), with a support structure that is based on a caring, familial love, rather than economic necessity. 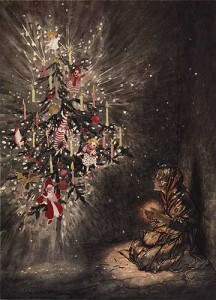 Shura has lived by the ideal of having male protection, and her successor, Ludmilla, is cut from a similar cloth; Baba Yaga, however, lives outside this domestic economy, as does Vasilissa – the hope in the tale is that, as she grows, Vasilissa will choose her grandmother’s way of living, not her mother’s. When I started this project my aim was to (a) write good stories, and (b) offer a path of shared agency to female and male characters, rather than offering a simple inversion. I have criticised Carter and Donoghue for failing to avoid a simple inversion in their revised fairytales, which begs the question: have I succeeded where they did not? Carter’s and Donoghue’s male characters are generally ciphers or male wallpaper. Carter’s are either outright comic-book evil (Bluebeard), or ineffectual submissive men (the piano tuner). In Donoghue’s work, the dominance of female agency extends so far that it sometimes completely eradicates any hint of male agency – the only worthy partner for a fairytale heroine is another woman. So, in theory, being aware of this problem should have meant that I was able to avoid it – but did I? The answer must be, depressingly enough, “no”. I wanted to give my characters paths of shared agency; I wanted neither women nor men in my tales to dominate, for neither to be smarter than the other; I wanted genuine partnerships for my heroines and the men they loved. Unfortunately, the tension between the politics of the story (what you think you should be saying), and the needs of the narrative (what the story needs you to say), makes it very difficult to strike a balance. In The Little Match Girl all the male characters are either weak or malign – but they needed to be for the story to work. A ‘good’ man would have taken much of the power out of the story. In Light as Mist, Heavy as Hope, the king who marries Alice is, in the end, a good man, but he’s not someone she feels she can turn to in her need (perhaps because she fears his judgment or because the men she’s encountered in her life have been flawed and of no help to her). In Pressina’s Daughters Melusine’s husband, Raimond, is sweet and a bit dim, but his pride and inability to have faith in his wife lead him to betray her with terrible consequences; Melior is so at a loss for a good man that she changes into a bird so she can have the faithful sparrowhawk as her mate. In The Juniper Tree the miller’s weakness leads to his wife’s death and his daughter’s maiming. Kai in The Danger of Warmth is, like Raimond, sweet but a bit dim, definitely not an equal for the powerful (but lovelorn) Snow Queen. Davide in The Lives of Saints is both dangerous and weak, failing his mistress and her daughter and leaving them to his own mother’s terrible designs. In The Bone Mother the only man in evidence is the woodsman whose mother dies and who seeks to murder Baba Yaga and Vasilissa to assuage his grief. The tension between the critical and the creative impulses is immense: how to make a story a ‘good read’ and transmit a message without being didactic? In this context (i.e. revising fairytales), perhaps in order to unlearn the lessons transmitted by colonised fairytales, revised fairytale heroines must be dominant. And in writing these stories, if the message I was trying to embed in the text overwhelmed the primacy of the aesthetic, then the message, I must confess, was what suffered, either watered down or cut altogether. The creative impulse won and, I suspect, will continue to do so. In rewriting/refracting/modifying traditional fairytales, I recognise that I’m working in a tradition that has belonged to women storytellers, from the grannies in the forests, to the old women in the nurseries, from the conteuses of the French salons, to Angela Carter and Emma Donoghue. I will always write to manage my fears; perhaps that’s what women have been doing for a very long time. I have tried to take my tales outside the frame of the colonised fairytale. In doing so I hope I have recognised and reflected the communal nature of the fairytale, and of authorship, over time and in different contexts, and that as a result I can lay claim to the traditional story ending of the old wives: “This is my story, I’ve told it, and in your hands I leave it” (Warner, 1995, p. xxv). This entry was posted in fairy tales, On Writing: General and tagged angela carter, angela slatter, baba yaga, Black-Winged Angels, Bluebeard, Emma Donoghue, hans christian andersen, Kissing the Witch, light as might heavy as hope, male and female agency in fairy tales, margaret atwood, marina warner, melusine, negotiating with the dead, new wine in old bottles, pressina, the absent mother, the bloody chamber, the bone mother, the juniper tree, the little match girl, the snow queen, vasilissa the Fair. Bookmark the permalink.